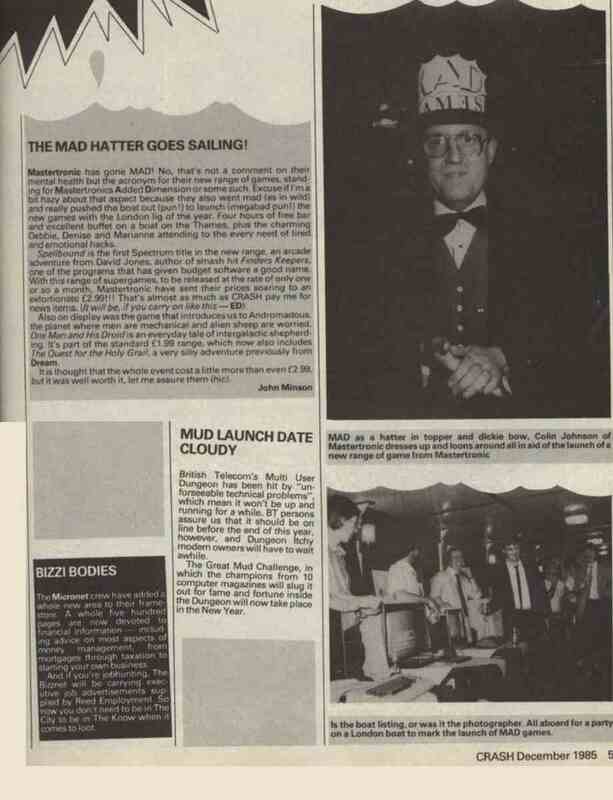 As mentioned in the Style section, the new £2.99 range, MAD games, was launched with a party on the Thames, at which the invited journalists, assorted hangers-on and the authors of the featured games attempted to drink as much as possible before the bar ran out. Crash, December 1985, was the only magazine to give much space to the do. Colin Johnson, our publicity manager, who was every bit as lugubrious as he appears, wore his silly hat and thereby took more space than the games he was supposed to be promoting.